This catalogue was conceptually conceived and approached as an exhibition in itself, reflecting the specific potential of the medium as an imaginary architectural display space. Especially devised drawings allude to the floorplans and architectures of planned venues and fictitious ones. Artists sections allow the juxtaposition of works in 3-time fold-outs. 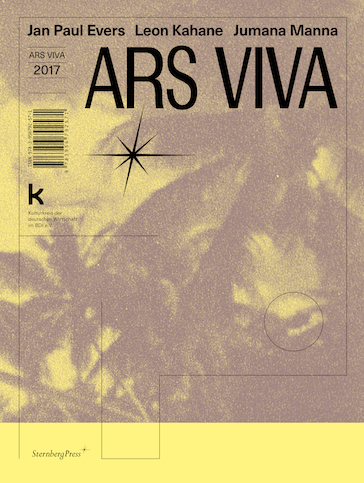 The ars viva Prize has been awarded annually since 1953 to young artists living in Germany whose work stands out for its innovative potential and high artistic quality. The recipients of the 2017 prize are Jan Paul Evers, Leon Kahane, and Jumana Manna.